"He's here, Bhavesh Joshi Superhero," wrote Harshvardhan Kapoor while presenting the first looks of his upcoming film. Bhavesh Joshi Superhero is Harshvardhan's second film. He debuted in 2016 with Rakyesh Omprakash Mehra's ambitious project Mirzya. Bhavesh Joshi Superhero is directed by Vikramaditya Motwane and is an action film. Not much has been revealed about the film as of yet. After completing the film, Harshvardhan tweeted, "Bhavesh Joshi patchwork done. It's been an epic journey shooting this film with Vikramaditya Motwane. It's taken us two whole years with lots of ups and downs. It was an ambitious idea and required a lot of sacrifice and hard work, patience. Lesser walked paths always tough." He also shared a video describing the journey. Bhavesh Joshi Superhero is expected to hit the screens on May 25 this year. 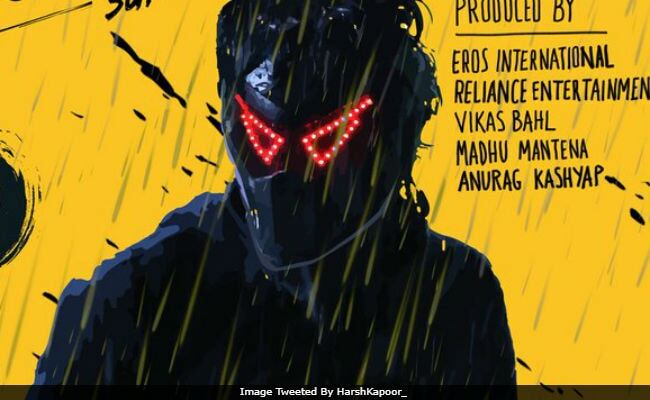 Here's the first looks of Harshvardhan Kapoor's Bhavesh Joshi Superhero. Harshvardhan's Mirzya failed to impress the audience at the box office. He starred opposite Saiyami Kher in the film. Mirzya was also Saiyami's debut film. "Every film has its own destiny. I feel Mirzya is a work of art. It is a beautiful film and it will find its place in course of time," he told IANS. Meanwhile, Harshvardhan is currently busy with a biopic on Olympic gold medalist Abhinav Bindra. In the film, he co-stars with his dad Anil Kapoor. The biopic will be directed by Kannan Iyer. mid-day reported that it is being adapted from Abhinav Bindra's autobiography A Shot at History: My Obsessive Journey to Olympic Gold.